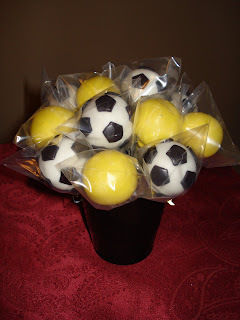 This soccer ball bouquet was created for a Black and Gold Soccer Team. The cake pops were chocolate covered in the hard shell chocolate. 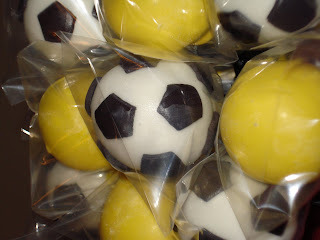 The Soccer Balls had gold ribbons and the gold pops had black ribbons. They were placed in a container for easy carrying!